Your roof is the first line of defense against the rain, wind, storms, and heat. When properly maintained, your roof can last for decades. However, age and regular wear will inevitably get the better of your investment. When it’s time to make a renovation, count on Best Roofing Solutions. We make roof replacement in Houston, Texas, an affordable and hassle-free experience. Contact us today to request a free estimate and restore the value of your home. As your dedicated roof replacement contractor, we are committed to delivering accurate service that improves the strength of your property. Thanks to our strategic approach to roof replacement, our team has the training, skill, and resources to design and install your new roof. Let our more than 10 years of experience work for you. Our roof replacement company takes the uncertainty out of your renovation. Let our roof replacement company inspect your installation to determine if you require a new installation. A roofing replacement makes your property look like new again. Roofing installations are designed to last for years, but they will need to be replaced in order to maintain the strength of your property. Your home is an investment. Protect its resale value with services from our roof replacement contractor. A new roof does more than revitalize your home’s curbside appeal. It is also a practical investment. Thanks to continual research and development, advances in roofing manufacturing have made new materials stronger and more resilient. In other words, a new roof will better protect your home against the weather, while encouraging improved energy efficiency. A replacement roof also serves to update your insulation, which allows your home to maintain a comfortable temperature throughout the year. You will save on your monthly energy bills. You deserve to live in a safer, more energy-efficient home. Our roof replacement company is available to accommodate your specific needs. Whether you wish to preserve your current configuration or are looking for a change of scenery, we deliver cost-effective options that make your home look better and stand stronger than before. Request an estimate today to explore your roofing options. Contact us today to learn more about our roof replacement services. 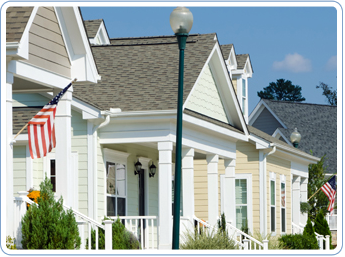 We proudly serve residential customers throughout Houston, Texas.